I’m blessed to live in such an amazing part of the world. 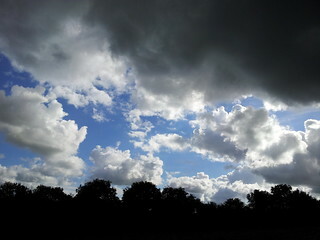 This was yesterday’s sky on my walk; I live close to Dartmoor and the weather can be very changeable. It’s easy to take things for granted. Working away at the moment, I soon forget the delicate air, the soft breeze and the exquisite beauty of my surroundings. This is no different to our health, relationships and loved ones. Nowadays, I keep a diary based closely on Julia Cameron’s morning pages. I always sign off my writing with a few lines expressing my deep gratitude for life and all that it has to offer. It’s right that we should examine our lives, but equally you need to understand that we need little in life to be happy. And that’s why we rarely express our thanks for those small things that are apt to make the biggest difference. Is adversity our greatest ally?